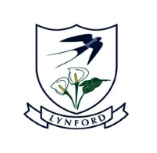 At Lynford, through our sporting programme, we aim to provide an activity that suits the needs of every individual in our school. All children are encouraged to participate in a wide variety of sporting disciplines and learn the values of teamwork, sportsmanship, winning with humility, losing with dignity and maintaining a healthy, outdoor lifestyle. A high standard of coaching ensures that all the boys and girls at our school have the opportunity to reach their potential.